At our old forum board, we have an 8-page thread with news and details about Norwegian Cruise Line ( http://captainsvoyage.7.forumer.com/...pic.php?t=1637 ) which I would like to continue on here. We have another convert to the seas!!! Last edited by ehp; March 1st, 2009, 00:24. EHP I am beginning to think that your ties to the sea run deep. 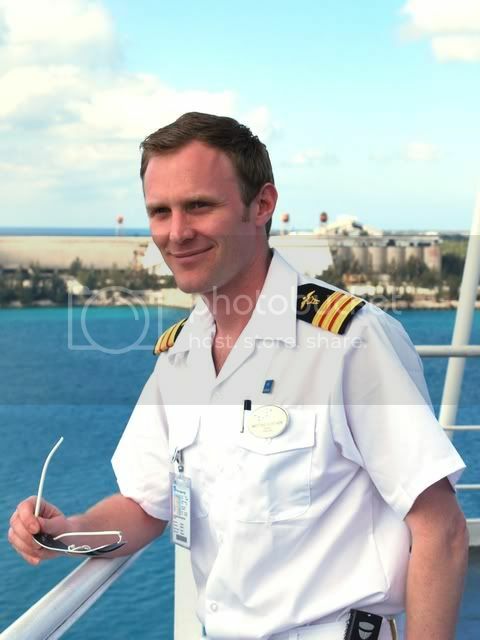 He looks VERY Swedish-y.... (kind of jealous of his life on board a cruise vessel). Based on what you sent me, I dare bet that he enjoys his time on board 120%... which is very important for a healthy ship. I think he will charm many a rich Lady on a rough sea day with sea sickness pills and a waltz.. The images we are looking for should be of reasonably good quality, preferably from sunny days, and will be posted in the story of NCL on the CaptainsVoyage mother-page and accredited photographer (naturally). If you have any good images to share which we could use, please send me an e-mail or a PM now. Should you have any details or important mile stones to add, we also like to hear from you. Both please and thank you. Norweigan Cruise Line announced details of the 128 studio cabins that will be on Norweigan Epic. These cabins will be 100 square feet and the smallest of any modern cuise ships. Basically the new cabin class is just a bathroom and enough space for a bed. There is a common "living room" available only to studio cabin passengers. Last edited by pilotdane; March 20th, 2009, 14:40. He had fun as a ship's doctor for 3 months, and will do it again sometime in the future. The routine was either 3 or 4 days Miami-Nassau-Freeport- Private island-Miami. Got a bit boring after a while. But he said the main problem was the constant flow of people with "issues/shipboard injuries" trying to get a free cruise out of the line!!!!! What's up with the Norwegian Dream? 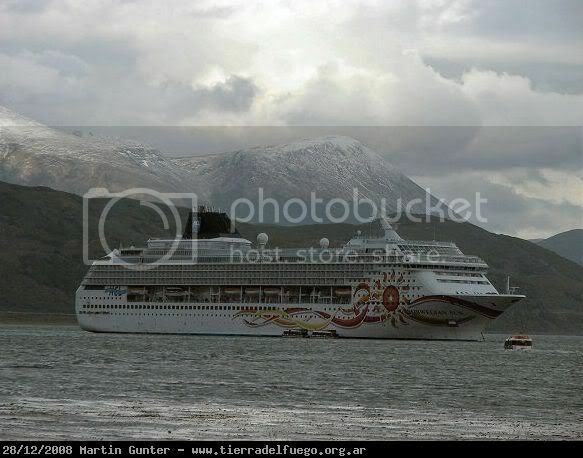 Found some images of her at Gibraltar Port website, and strangely, her NCL livery on the funnel has been removed? Photographs dated April 27th 2009. Thank you for reminding me why I do not cruise on NCL anymore. Thanks Eric. That explains a lot. I guess she would be heading to Piraeus for lay up and possible sale then. Maybe Louise Cruise Line will have a look at her, though, selling such a large ship may not be too easy. Has she been listed for sale for a long time? One question concerning a former white swan of NCL... last seen operating in the far East under the name Flamenco or Flamenco I.... does anyone have any update on the status of this ship....? The Flamenco was never a real NCL ship. She was ordered as a sister to "Southward" and was to be given the name "Seaward", but during construction she was sold to P&O and given the name "Spirit of London", later "Sun Princess". Shipspotting has a picture of her dated 13.06.09 and she looks pretty abandoned. Ahaaa.... this is the one which was to become the P&O ship! Now, I remember! Wonder if she is soon to be seen at Alang?